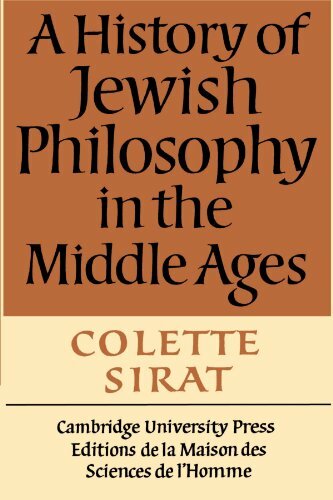 [PDF] A History of Jewish Philosophy in the Middle Ages | Free eBooks Download - EBOOKEE! Description: This book surveys the vast body of medieval Jewish philosophy, devoting ample discussion to major figures such as Saadiah Gaon, Maimonides, Abraham Ibn Ezra, Judah Halevi, Abraham Ibn Daoud, and Gersonides, as well as presenting the ancillary texts of lesser known authors. Sirat quotes little-known texts, providing commentary and situating them within their historical and philosophical contexts. A comprehensive bibliography directs the reader to the texts themselves and to recent studies. No comments for "[PDF] A History of Jewish Philosophy in the Middle Ages".